This work originated with the planning and design work as part of the Innovative Care Flexible Facilities project. 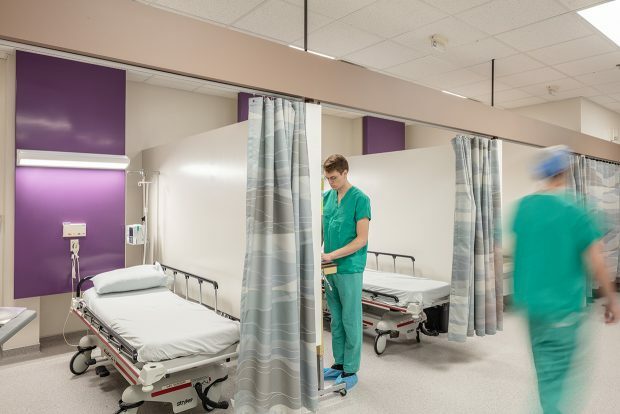 That project identified underutilized healthcare delivery spaces in smaller communities within a reasonable distance of the Regional Centre in Halifax and Dartmouth as critical in reorganizing delivery of existing services and allowing aging facilities in downtown Halifax to be replaced in a staged, clinically-efficient and cost-effective manner. 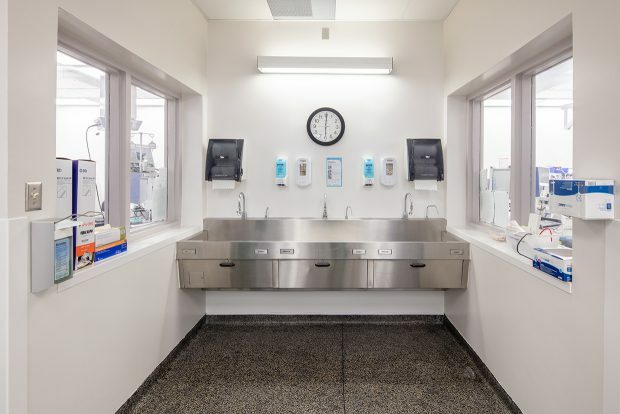 The detailed work at Hants Community Hospital began with an in-depth assessment of the existing surgical facilities, which included assessment of existing FF&E and coordination with new equipment and systems being upgraded as part of the project. 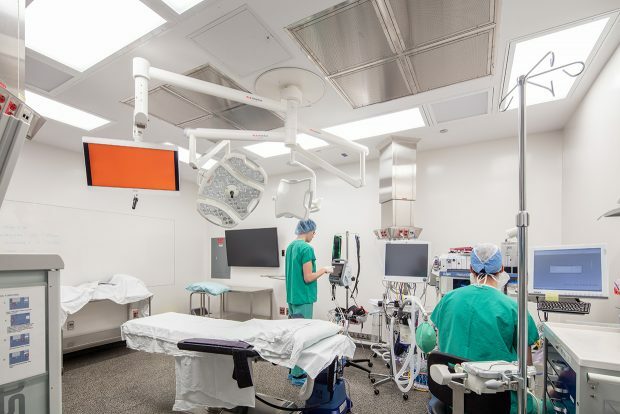 Following Nycum’s assessment report, a design and construction project was undertaken to refresh the surgical facilities at this regional hospital, greatly increasing the volume of outpatient surgeries able to be performed. More than doubling the surgical throughput at Hants Community Hospital has meant that 1) local residents are less likely to require travel to a larger centre to receive care; 2) many outpatient surgeries previously performed in tiertiary care facilities in Dartmouth or Halifax can now be performed in Windsor; 3) outpatient surgical processing and scheduling could be streamlined, helping to reduce wait times for routine procedures, and; 4) some services were able to be decanted out of the aging and troubled Centennial building on the QEII Health Sciences Centre campus in Halifax. 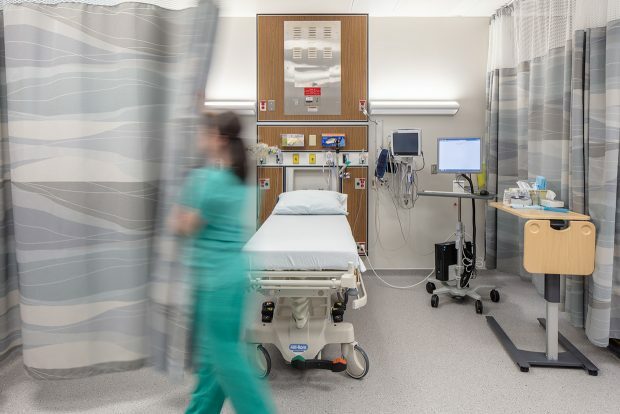 In order to support the expansion of surgical services, the entire surgical department was refreshed, clinical facilities were expanded and enhanced, finishes and equipment were updated, and existing deficient fire and life safety systems were brought up to current standards. While the scope of the project did not enable increasing the size of the existing ORs, emphasis was placed on modifications to allow the existing small ORs to work more efficiently, accommodate broader surgical case types and integrate modern surgical equipment and processes. This was achieved through removal of built-in elements in the rooms, tight integration of equipment and services on the walls and ceilings and conveniently locating services and connections to free up valuable floor space. 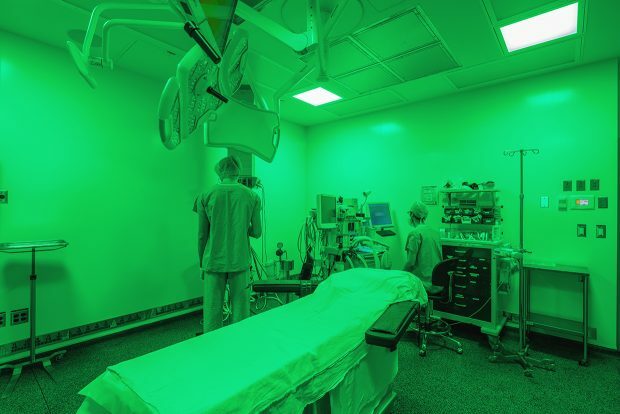 Motorized retractable service columns, laminar flow ventilation, new surgical lights, a 4K video integration system, as well as seamless wall finishes and green lighting options allow the renovated ORs to be used for an expanded range of procedures in a safer and more efficient manner than before.